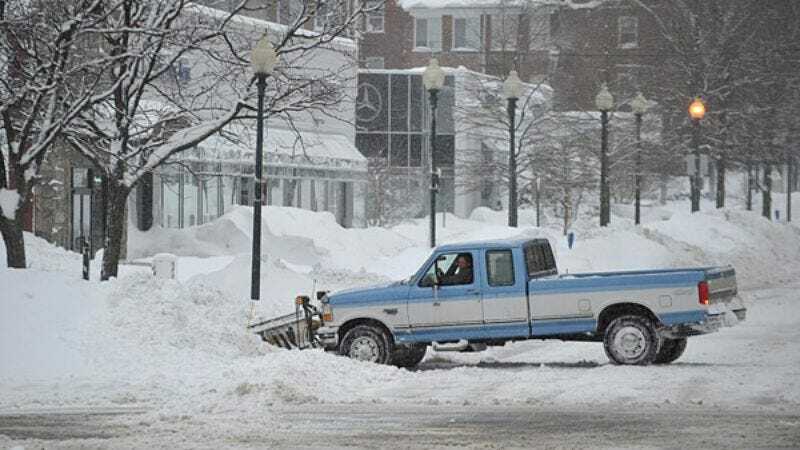 VANCOUVER—The 2010 Winter Olympics were postponed indefinitely Friday morning after snowplow operator Dominic Wondolowski arrived on the scene Thursday night, a snowplow affixed to his 1994 Ford F-150, and proceeded to clear out nearly all of the snow from every Olympic venue. "Can't believe V-DOT isn't on this yet," said Wondolowski, referring to the Vancouver Department of Transportation as he plowed Whistler Olympic Park's cross-country skiing course and spread road salt along the halfpipe. "I think I pretty much got all of it, including the driveways and the slick stretch on that mountain with all the flags sticking out of it. Gotta make sure kids can get to school safe in the morning." The 63-year-old Wondolowski reportedly does not get paid for his services.